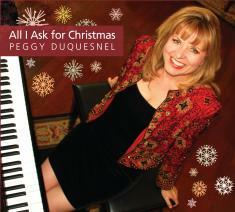 Pianist and vocalist Peggy Duquesnel will release "All I Ask for Christmas" on November 5th, a double-disc set comprised of instrumental and vocal renditions of holiday standards and spirited originals. Long Beach, Calif. (10 October 2013): There is always a bit of an uproar when Santa and the elves debate over music preferences while toiling away in their North Pole workshop preparing for the big night. Some prefer swinging to straight-ahead jazz instrumentals while others prefer contemporary vocal numbers. Multidimensional pianist and vocalist Peggy Duquesnel's "All I Ask for Christmas" is certain to satisfy everyone with her generous 21-song collection that will be released November 5th by Joyspring Music. Duquesnel produced the two-CD set - one acoustic jazz instrumental disc and one vocal disc - offering fresh arrangements of seasonal standards along with four new songs that she composed and recorded as both instrumental and vocal selections. The entire album will be serviced to jazz radio stations while smooth jazz outlets will be gifted with the single, "Hark the Herald Angels Sing," featuring genre star Rick Braun's regal flugelhorn. Duquesnel is having a prolific year. In April, she released "Seems Like I Know You," a five-song EP that she produced with noted contemporary jazz musicians Jeff Lorber and Jimmy Haslip (Yellowjackets) on which she exercised her fitness as an adult contemporary singer-songwriter while engaging her light jazz muscles. The instrumental portion of "All I Ask for Christmas" is a return to the classically-trained pianist's roots in straight-ahead jazz presented with elements of adult pop, contemporary jazz and inspirational material on this, her seventh full-length outing. Backed by a crackling quartet - Grammy-nominated bassist Brian Bromberg on upright, drummer Joe La Barbera (Bill Evans, Tony Bennett, Bill Cunliffe), percussionist Brian Kilgore (Barbra Streisand, John Williams, Elton John, Coldplay, Aerosmith) and guitarist Jay Leach ("American Idol," Barry Manilow, Gladys Knight) - Duquesnel's arrangements are influenced by storied artists from yesteryear (George & Ira Gershwin, Horace Silver, Nat King Cole, Frank Sinatra) along with a dose of contemporary acoustic jazz (Dave Grusin, Bob James, Miles Davis). On the vocal disc, Duquesnel sings and scats three duets with debonair vocalist Bill Cantos: the bebop title track penned by Duquesnel; the aptly titled "Breath of Heaven (Mary's Song)," which was written and recorded by Amy Grant; and another new Duquesnel gem, "Under the Christmas Tree," a romantic country gospel waltz adorned with Leach's pedal steel guitar. Talented newcomer Emma Werderman impresses with a vocal full of moxie during a duet with her mentor (Duquesnel) on the stunning "Mary Did You Know" further illumined by Duquesnel's piano eloquence. Duquesnel's glowing jazzer "Light of Christmas" and the waltz-like "Christmas is Here" are new songs written with warmth, familiarity and timeless qualities that have the potential to become enduring evergreens. "The album concept is to take familiar Christmas songs and put them with unique arrangements that have a jazz influence, but that are all accessible to a broad audience. In the process of making the album, I decided to do instrumental versions of the vocal songs. I am both a vocalist and an instrumentalist and enjoy playing these songs just as much instrumentally as vocally. 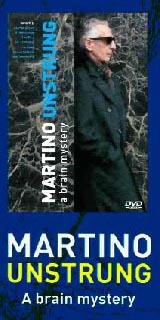 For the listener, having both versions makes a lot of sense because they set two entirely different moods," said Duquesnel, who invites you into the studio to observe the making of the album by watching the EPK (http://www.youtube.com/watch?v=cSApuhPMt8o). To support "All I Ask for Christmas," Duquesnel will perform three shows during the holiday season in the Los Angeles and Orange County areas: November 24th at the Hoson House in Tustin, December 11th at Fields Pianos in Santa Ana and December 19th at Vitello's Jazz & Supper Club in Studio City. "All I Ask for Christmas"
For more information about Duquesnel, please visit www.PeggyDuquesnel.com.